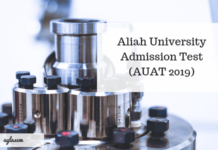 Selection of the candidates in the Aliah University through AUAT 2019 will be based on three stages (i) ranking, (ii) counseling and (iii) admission. After the completion of the entrance examination, a list of qualifying candidates will be displayed on the University website, www.aliah.ac.in on the basis of marks obtained. A list of Physically Challenged (PC) candidates and Other states (OS) candidates will also be prepared separately. Admission of the candidates in different programmes will be made through online AUAT Counselling 2019 as per the rank in the merit list. A rank card will contain all the relevant information regarding AUAT 2019 counseling will be provided to all the eligible candidates at the time of result declaration of AUAT 2019. 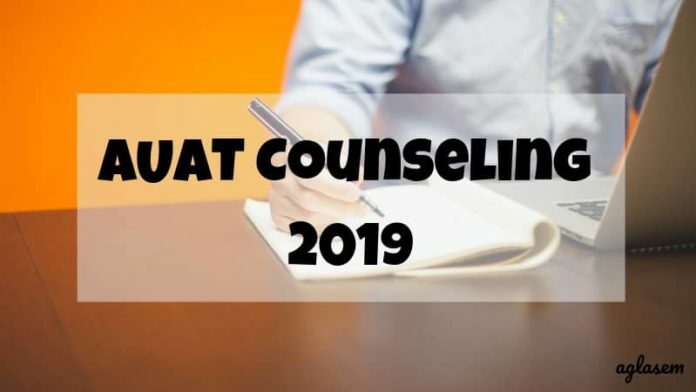 To know more details related to AUAT 2019 counseling check this page. 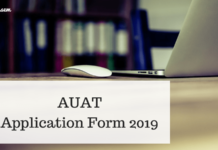 To participate in the AUAT counseling in 2019, the successful candidates will have to register themselves in the University counseling portal by paying the requisite fee. A registered candidate will be offered to put their preference of subjects (if any) accordingly. The online system will allott the candidates to different programmes according to their rank and preferences. After allotment, the candidates will be allotted the date, time and venue of the counseling. In case a candidate fails to be present at the allotted date then, the seat will be offered to the next candidate in line. The admission of the candidates is subjected to the fulfillment of the eligibility criteria. 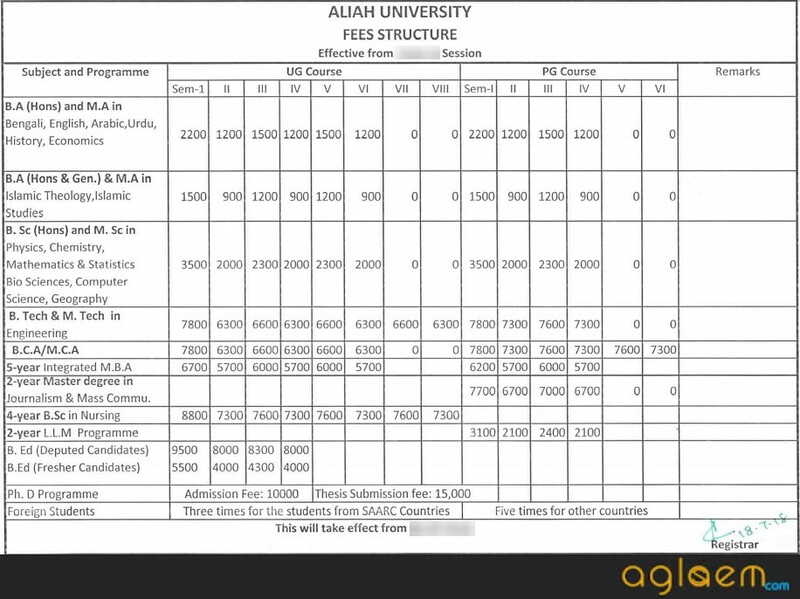 Candidates can check the tentative dates of AUAT 2019 counseling form the table below. Note: The Candidate are informed that there is no need to come to Aliah University for the e-counseling purpose. They can complete the process through online by login with Application ID and date of Birth. The university provides the given below link to select the courses for e-counselling. Candidates are not required to come to Aliah University for the e-counseling. The process of counseling can be completed by logging in with Application ID and date of Birth. Candidates are advised to read the instructions first and then proceed with the process of e-counseling. Candidates having valid AUAT-2019 Rank are only eligible for e-counselling. Candidate must go through the e-counselling process in order to take admission in Aliah University or its different centre. Candidates would have to pay the registration fee to take part in counselling which will be further adjusted with the admission fees. An application is treated as a valid application only after successful payment. Registration fees is non-refundable for the candidates whose name is being shortlisted but remain absent at the admission within the stipulated time period or his/her candidature is rejected in verification of documents. Candidates who are not called for counselling even after registration due to the limited number of seats will get their registration fee refunded. Taking part in the e-counseling system does not guarantee the admission in the chosen subject/center. Allocation to an applicant for a particular programme depends on his/her choice and availability of seats for the particular programme. If you are not allotted in your 1st choice, we will consider you to your 2nd choice (if given by you and it means you also want to take admission in your 2nd choice) and this process will continue until your last choice. Log in to application Portal by Application ID and Date of Birth. Click on the button GO FOR e-counselling. In this Step, you need to choose the programme as per your preference of admission. First choice is mandatory and rests are optional. Number of choice shown to an applicant depends on the number of programmes he/she applied and successfully qualified or the programme he/she qualified thought in multiple center or the programme having multiple branch. Take print of your locked choices. Wait for further notification on the website. Candidates willing to seek admission can check the fee details as per the Last year’s information. Aspiring candidates will roughly have an idea about the amount to be paid for each course. If in case there will be any changes after the release of the latest information then, details will be updated here. 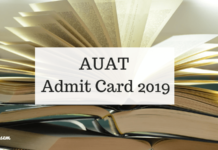 AUAT Admit Card 2019 – Get The Direct Link Here!